This is a teardown of Behringer B208D active PA speaker. Inside here is swich mode power supply (mains to around +-27V) and amplifier board. 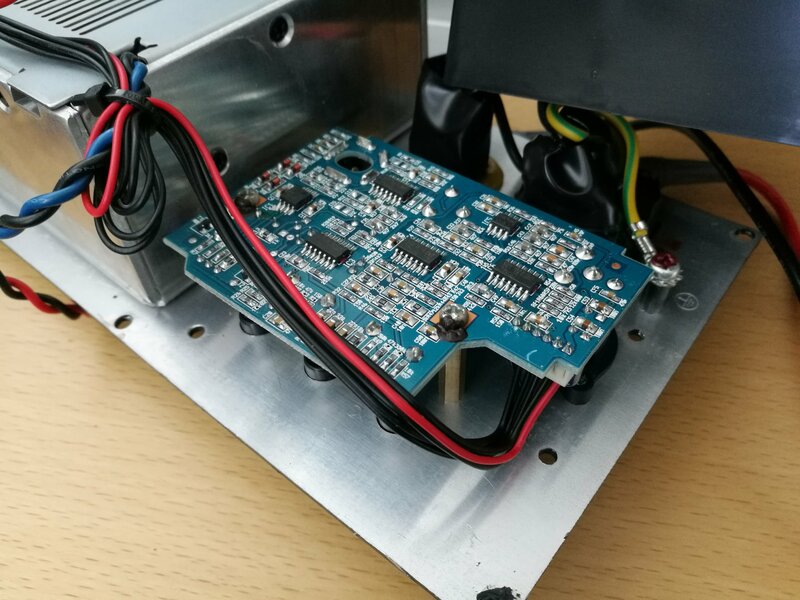 Amplifier board has 160W class D amplifier chip (below board and possibly broken) for driving low frequency speaker element, 40W power amplifier IC for high frequencies and power regulator for +-15V preamp power. The wiring between amplifier and preamp carries ground, +-15v, unbalanced high and low frequency audio signal plus status pin indicating when power amplifier is overloaded. A look inside the die-cast alloy Focal Professional CMS40 active nearfield studio monitor speakers. Repairing a KRK Rokit 6 powered near field studio monitor speaker. You won’t believe what caused the fault! In this video I investigate a failure in the internal electronics (the power supply section) of the M-Audio Studiophile AV 40 Speakers. Watch it until the end to find out what was the faulty component and what caused an additional damage which normally shouldn’t occur. 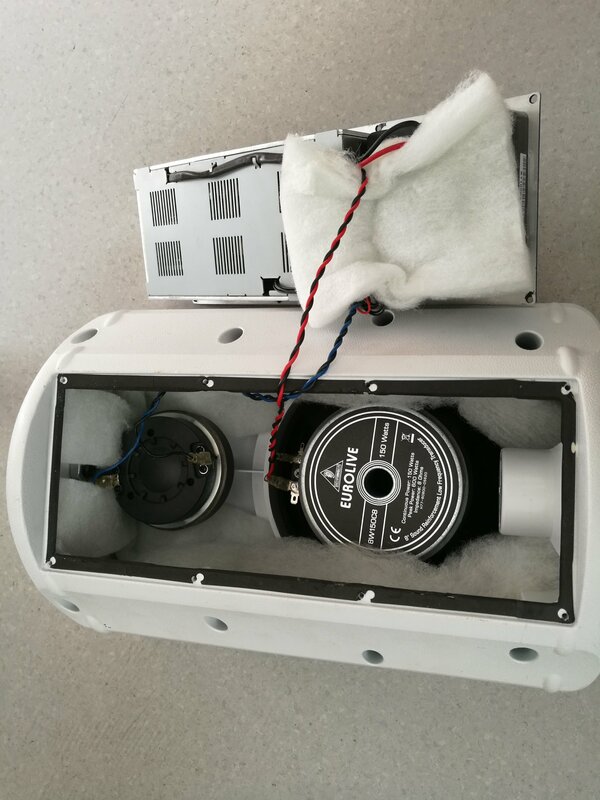 Troubleshooting Active SpeakersI have recently come across a rather good set of active speakers – a wooden case, high quality loudspeakers, a built-in frequency corrector. But, when turned on, they produced a weird sound. Let’s open them up and see what the problem is. 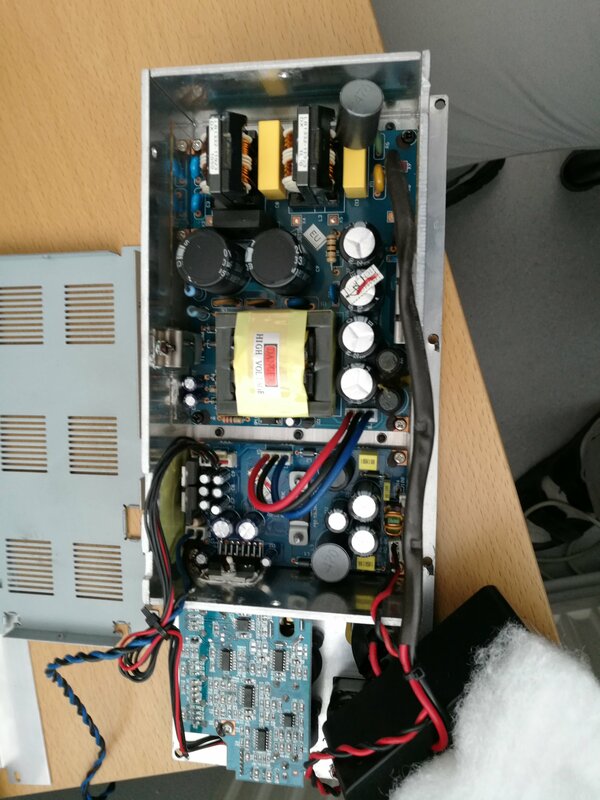 Inside we can see the amplifier itself that feeds the transformer, an active frequency corrector and a separation filter for the speakers. Even without special equipment we can see an inflated component, the function of which isn’t clear. Let’s try to remove the inflated components and see what comes out of it. Nothing changed, so the problem definitely lies here. 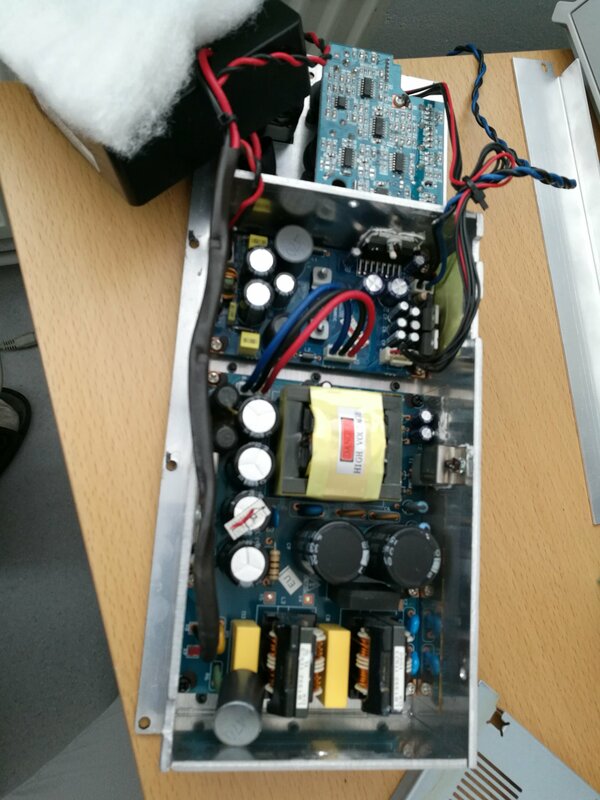 Let’s replace the capacitor with a new working one and turn our amplifier on. The background noise is gone. 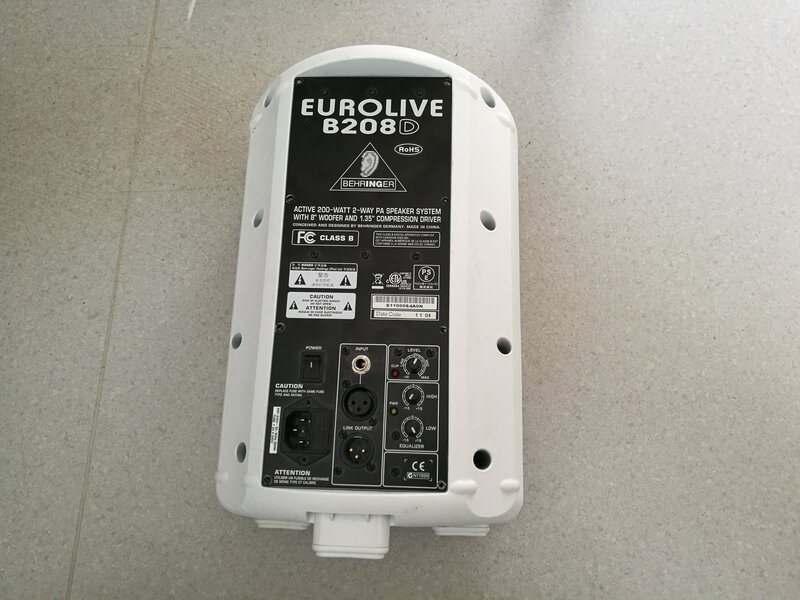 In this short video we explore the EUROLIVE B210D Powered PA Speakers. These active 200-Watt 2-way speakers have a 10″ woofer, 1.35″ compression driver, switch mode power supply and an integrated sound processor for system control and sound protection. 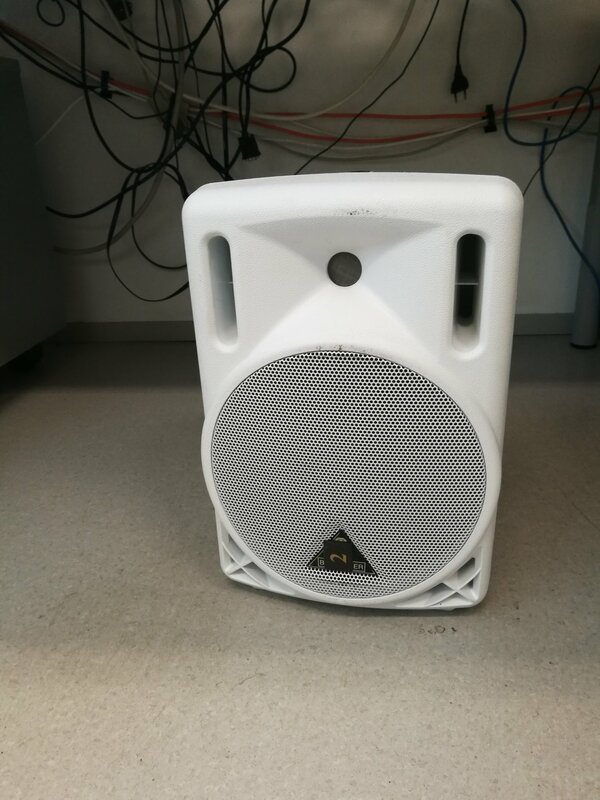 My speaker went out. The power supply is making a noise. The red and green LED lights blink on and off. Sorry for the delay in responding. I bought a power supply from http://www.fullcompass.com. I ended up calling them to get the right part number. I put it in today and it sounds great. The red and green lights turn on with the power and the green light stays lit. Before the red light would blink. A/B testing of direct signal and miked loudspeaker. The answer is that A=original direct signal, B=Miked speakers. However I had expected a much bigger difference between these signals.